it leaps out of your heart girl…. where is it suffering from affection? or the desires coming on you? could it be picked through hands? would it be understand if it said? would it be able to realize the both? could it be able to exceed to-day? It’s not a one day game that changing the solar calendar followed by years which teach us that April 14 is the Tamil New Year day begins on Tamil month Chithirai. The New Year was calculated by the day sun arrives at middle of the sky, it follows after the south Madurai known as Kumari Kandam which was destroyed in sea rage and submerged. Then the south Madurai which have the Kapatapuram as its capital in north and in that tract the day sun arrives to middle of the sky was been on April 14. I was disagreed on this decision of Tamil Nadu government introducing the bill to celebrate the Tamil New year on the Pongal Day, the first day of month Thai. 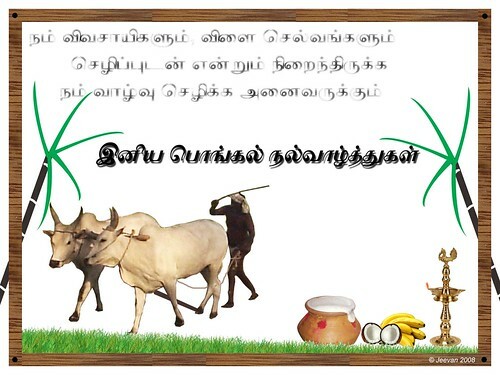 I feel pongal is our harvesting festival and thanksgiving to nature and no need to mix it with New Year. The calendar was not prepared by the government; it was created by our ancestors seeing the sun’s position. We know chitirai as the first month, and everyone know as it is and suddenly announcing the change of the traditional habitually would confuse so many and I would only tell it’s the decision of government alone and it won’t affect others who follow it. Any way it would not be a holiday on April 14 and it won’t affect anything. 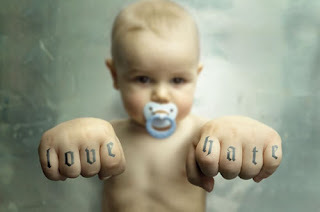 Was tagged by Vijay to list what I love and hate. I love to eat: Any general sea foods which are my favorites and green leaf vegetables. Popcorn; watching tv or movies I like eating popcorns one by one. I hate to eat: Pizza, porridge (everyone always urge me to eat, but I refuse simply even not tasting a bit) , sapodilla fruit and KFC Chicken. I love to go to: Kodaikanal, my all time best. It was closely two year now; I haven’t had a long trip, so I needed something that could be any hilly places with cool fresh breeze. Love to go on rides on Himalayan ranges of north and northeast India. I hate to go: To grandpa house, but I love a lot to visit there which holds many memories and wishes staying with grandpa and grandma. I hate to visit because of my uncomforted; they stay in upstairs and the lane that was crowded always. I hate whatever place if it was crowded. I love it when: I can share almost everything with my parent’s, my thoughts exist and getting satisfaction on whatever works I did well. I hate it when: Some one values the love, because I feel love is worthless, it should come from heart and to valid in no measurement. Arguing oppose to my close ones. I hate to see: Dirtiness, begging in torn clothes and holding with kids, distinguish between people and public nuisance. I love to hear: Fluffy music with beautiful lines or poems; bird’s noise in the silent afternoons and sounds of chimes moving to wind. I hate to hear: The remix songs, useless punch dialogues in Tamil films, the dryer sound from our washing machine and anything that disturbs while reading. Indian Republic: What does it mean? 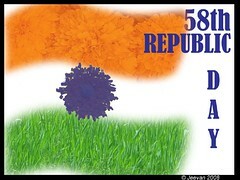 India is the largest democracy in the world. This not happens over night; two-and-a half years after India won Independence from British rule, our leaders decided to set-up a constitution to create rules and principles on basis of which our country would be governed. For this work they formed a constituent assemble and selected leaders from all over nation where assemblage as our nation approved the constitutions and brought into force. The constitution was written by then Law Minister and the leader who had often opposed Gandhiji, B.R. Ambedkar with Jawaharlal Nehru as first Prime Minister of India. The constitution was finalized after three years work by of assemble in which it contained features from British, French and American constitution. It established parliamentary democracy in which the constitution is supreme. It lists the fundamental rights as citizens of India, such as the freedom of speech and right to freedom of religion. There are also fundamental duties such as to protect the dignity of women, to value the rich heritage of our composite culture and to preserve forests and wildlife. The most important and highlight of Indian republic is, parades. The first parade was held in 1950 at Irwin stadium, today which was National Stadium. To marking the event, every year a grand parade conducted in the capital is a lavish affair of showcasing India's advancement in military affairs by marching columns presenting the armed forces, accompanied by army vehicles and military band troops. Decorated conveyances from different states of India and the traditional folk artists performance from across the country floats the street from Rashtrapati Bhavan to Red Fort. Beating the retreat on the third day marks the end of the Republic Day celebrations that takes place in an ancient military custom of sending drummers through the streets just before sunset to warn the troops to return to their barracks before the flag is lowered for the night. The bands always play the ancient hymn `Abide with me' and as the bands fall silent a solitary bugler takes up the hymn's refrain. much disturbance over climbing aviation. who’s eager for a lonely planet? sustain a delicious life out there. clueless what happens to her. later everything relates to dream. I don’t want to postpone it still after the year itself begins. It was like the road sides of ECR everywhere disturbing rubbish thrown inside my computer; the pictures, documents, music songs, videos… today everything was arranged and some sent to dustbin. The wanted clearance of my computer table and racks where done with the help of mom and also my music system and CD’s where properly arranged. Disappoint comes these days to fill the craving of not having camera at moments that I liked to capture. I would only feel of thinking the days without cam and move to make myself satisfy. Hope the days not away and the time will comes closer to own my new cam. 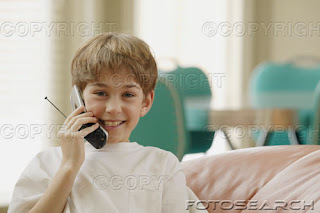 There was a surprise call, which I dint expect that I could receive. The voice I heard was my sweet friend (shanu) of childhood, who shares my desk in school and playing together some times back. It was for three or four years back I saw her passing my home streets often, after changing my home the thoughts about her happens hardly. It’s a big surprise u know hearing a familiar voice when mind was empty from her thoughts and what’s more happy is she still remembers me and get contacted. I was dump what’s happening at her life and I was thinking she may be working or doing some think like university, but for what she called was to invite me for her child’s first birthday. For me, still not comes out of the wonder hearing her voice; her marriage and son’s birthday puts smiles a lot than anything to astonish. In between these years she lost her mother who was invisible (can’t see) and the changes in her carrier and moved with her husband to little distance from her home. She was visiting my old home to invite me, but she was not disappointed where my uncle who stays there gave my number and that helps her to contact us. I really apologies for not being attending her son’s birthday party, no way she was staying in first floor and mom was to following some other plan, we missed it. I just always wish her a beautiful life and happiness. I know how much love she kept on her mom and taking care her needs very carefully. 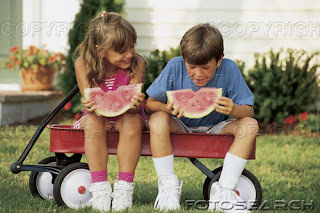 First thing comes to my mind thinking her is, my visit to her home when we both where class mate and running around her flats, playing, chatting and seeing her mom sitting in a chare and she calls her to make know we (I and bro) have come. I hope she would get all kindness, love, peace in life from her little son and husband. to favorite moods that change. the fragrance of early transmit. then everything doubts truly why. A feel good beginning for my art again. We are ahead with energy flowing to welcome the most wanted festival of Tamilan. It’s not particular for Tamils; it’s a festival center for all common people who interest to thanksgiving the nature. The Pongal follows the solar calendar as the sun changes its direction rays, where it starts riding from southern to northern. 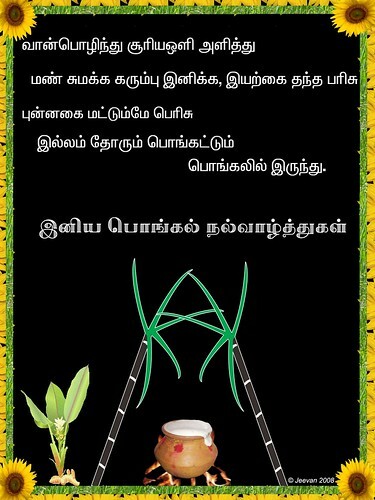 The Pongal is intends to boiling over of milk and rice from the pot that is considered a sign of happiness and property flows in our lives. 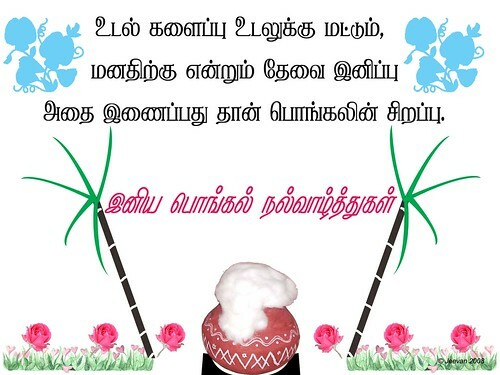 The Pongal which celebrated in Tamil month of Thai for four days from the last day of Margali (mostly Jan 14). The farmers festival on this pongal, we clean and whitewash our homes, decorate our homes with mango leaves and festoon, drawing beautiful kolams and cook pongal to celebrate with family and friends around. Generally Pongal is celebrated at its best only in villages, where in early decorated new clay pot, taking the newly harvested rice from paddy and adding with pure milk to make flowing pongal to thanking the earth and welcoming Sun. The first day before pongal is consist of Bhogi. It’s the day to said good bye to old and enters of new in our lives; it always celebrated as burning or throwing the old thing into fire. But in todays time its better stop burring the waste things or old clothes and best is to give for non-existence. On the third day of Mattu Pongal (Bull Pongal) is thanked giving for bulls those handworks throughout the year and which was farmers friend. Taking them to bathe, painting there horns and decorating with leaves and replacing with new cord, tying bells and with colorful balloons the bulls enjoy themselves, esp. seeing other bulls. The Jallikattu (bull catching game) happen on this day and the last day of pongal that was known as Kaanum Pongal in Tamil Nadu is world famous. Kaanum Pongal is well known for its outing and picnic with family and friends for there favorite places, in many villages people interested in going to watch Jallikattu at near there place. The Chennai Marina beach is recorded yearly for more people visiting on Kaanum Pongal. According to Jallikattu, it anticipated for an important award by Supreme Court this year whether it would be banned or to allow conducting the Jallikattu, but without cared about anything the preparation for the festival was in full fledge. The Jallikattu always happens in Madurai’s Paalameadu on the 2nd day of Thai (Jan 16) and the world famous Alanganallur the next day and followed by other districts of Tamil Nadu. The bulls are carefully trained rest of the whole year for the yearly ones game. Bulls are feed with grind raw rice and cotton seeds and left to drink 40 litters of water twice a day to avoid fatigue and 3km of walking every day. To strengthen, the bulls were daub to grinded tamarind seeds for full night and bathed next day, that continue for three months before to Jallikattu, where it develops the blood circulation and gives a shine skin. They even used to tell, bull should not visible others, so they won’t allow none near to the bull. The most looked bull is Kangeyam bull which is the most bravery bull in all and its look itself threaten everybody, but only sad is its species are in stage of perishable. In rural sides if one was to be praised for brave they use to indicate Kangeyam bull, so far it reaches to its name. There would be only countable Kangeyam bulls to exist in Tamil Nadu and I was not sure. To make bulls intoxicate, they fill hays into clothes and create like a man like doll and get them to batter the doll to increase its anger. Because of getting training like this, these bulls are not left so easily into the playing ground of Jallikattu and in addition to train or grow a bull to play for the game they spend minimum 40,000Rs (1000$). But all the hope of these people playing, as well as developing bulls are stopped by Friday’s award by Supreme court in banning for this traditional brave game of Tamil Nadu. Though it was a good relief for bulls from humans and threat of bull battering humans to injure and sometimes to death in game. But it was a sorrow for Tamil Nadu and mostly for the people of southern districts and Madurai to give away our traditional brave game. It’s not planned, but it happens to relate this post to my recent painting of Jallikattu above, like a man trying to control the bull. It was one more happiness I got at this year beginning of returning to my drawing side that I wasn’t touched for over a year. I was in confuse could I able to draw something again like past, but I moved to the comfort of drawing. Let me know your comments… I wish you all for a Happier Pongal celebration. 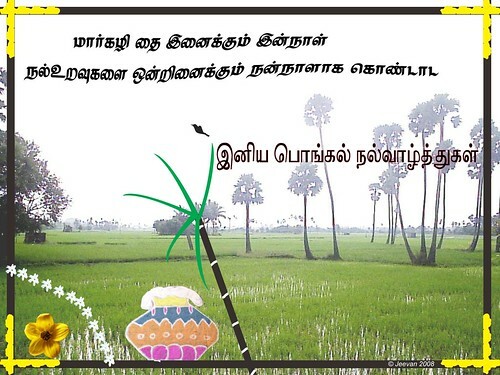 Have designed some greeting cards for the coming Pongal festival. These days shops lack for festival greeting cards, and was not possible to send the cards to dears. So I want to prepare cards on my own, while for most important events I did cards holding the pictures of my cousins, this time tried some new way in the style of professional greeting. The amount spend for buying a card from shop is minimum Rs.20, some quality cards at 30+, for me its only Rs.6 to 12 according to the size I develop through photo studios. What I spend is time and energy, and what earn is satisfaction on designing in wish and using own words. I steal only some flowers and other items from net and others drew in Photoshop and pictures from my last Pongal. Except my cousins, would be glad if it was used by others. One can download the card on the size given below at every greeting. Last year I was in great pleasure of listing too much good Tamil songs and I would like to share it with you all. I list down some songs I loved in some way it was tuned, singed, the lyrics that put me in sense and happiness… it was not an order of which one is good to the decrease of less good, but comes as it is from my thoughts. The film names were at each end of the song experience in bracket and u can check the song clicking mouse at the link in blue. Thanks for listining my favorite songs. 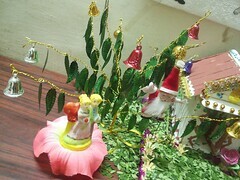 It was wished to be part of Christmas when the world is celebration it. Even not much, I needed a tree with serial lights blinking, gifts hanging, bells chinking to the blowing gentle winds and the night with candle lights. There is nothing more cares me so far about Christmas, only for last few years I go with hanging start outer my home, this time I was thinking for a tree and not been prepared to buy, but I got a small tree from my grandma which she did for me getting things from shop and also a small home with ice-cream sticks. 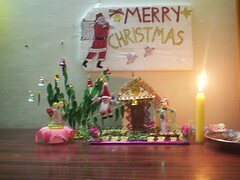 I thought myself it’s the beginning and should do bigger next time; I and cousin decorated it in green leaves for floor, drawing Christmas board and lilting candle gives cute look when all doing that. I could only present u the Christmas pics and it was little worries I wasn’t able to share some movements through pictures of cousin sister B’day, going to village and New Year night at home. The cam was brought by uncle’s relatives so I can’t click anything at any moments we really wanted. It was a casual beach visit on sat with cousins at present, they where in half-yearly holidays and suddenly a thought comes to celebrate sister’s birthday at beach. So bro brought cake candles, snacks… in the cool pleasant dusk, with clapping hands and singing birthday lines she cut cake and it continues till night we chatting happily, teasing each other. The next day it was the sudden decision by all to spend the Sunday at grandpa’s sister village near Chennai. Grandpa and others where seated in cousin'sSumo Victa and we where taking our car following them. Dad with arm pain, we needed a person to drive the car, so a relative bro belong to the place we ahead drove the car and the noon breeze at there was totally please only we where disturbing the whole village shouting and running everywhere. After sun behind the clouds in afternoon we went to the field belong to them, riding in wheels on the mud road for a short distance with much trees, green grasses around. First time I was there in their field, the recent rain was doing something good for the well and lakes filled in water. I was near and not to miss the opportunity seeing my relative buddy jumping from the wall into the well. I wondered what happen to him, he was at that another end of the big well when he comes out of water after few seconds. On the way we met small monkeys crossing the way… they told these monkeys use a cute way to steal thing from houses of the village. If the window holes are small for the big monkey’s they sent there kids inside the hole and order them to bring what they need. Because of this all the houses in the village have very small windows. I find a very kind buddy there, he was my age and we spent talking throughout the way around the places. He finished his computer diploma and has a small shop in the village looking over his family and the fields. Then comes a new experience and also at risk when returning from there. It was darkness surrounds almost waiting for our relative bro to drive the car who was gone to pick the driver for Sumo vehicle where our cousins and all should come. Passed few kilometers the diver of the sumo wasn’t able to drive and he was half in sleep, so no other way to move the vehicle further. Now the only person would drive the big vehicle was our relative who drive us, but our car also need a driver, so there is no other way my bro only have to drive us back, but he wasn’t well practiced in driving a car. He hoped he could drive, but for us it makes uncomforting leaving him and the road (OMR) was fully contour till crossing the east cost road with heavy traffic jam moving slowly from 5 km before my home. First time I was very carful looking him driving between cars coming closely and I was in short dread and wishes he could drive safely without hitting anything. Cool he did a good job, we reached home, but only thing he need is to learn speed balance… his pickup was very fast, specially in cities it’s the most important thing to be careful. New Year did not get any expectation with me, it passed another day in life watching television program. Early morning former president Kalam interview was the best one, it was the first time kalam gives interview for an entertainment channels. It was a great inspire knowing much about him, his thought ‘we should have an aim at every moment we live and moving towards it for an interesting life’ found a strength inception of this year. Again wishing a happy and interesting 2008.